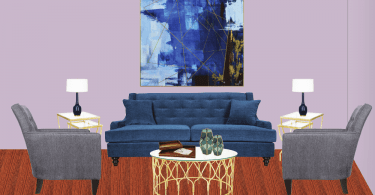 Jamie Alexander is the co-founder of Peloso Alexander Interiors and a designer. 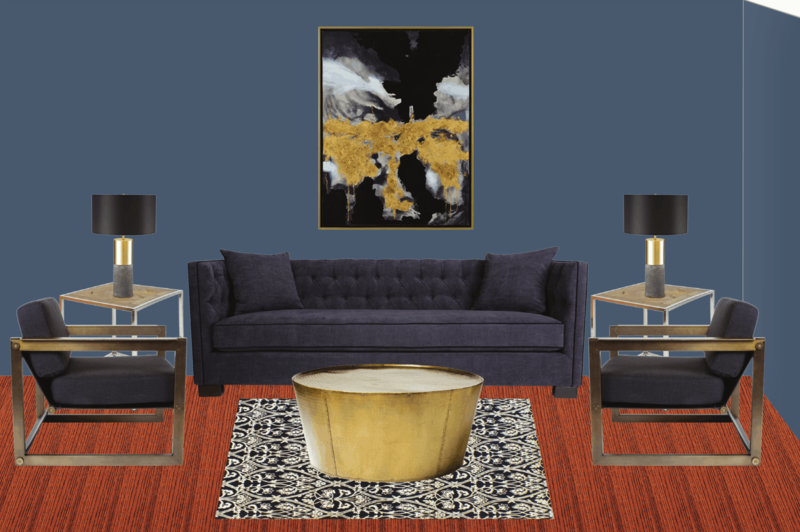 Darker colors give this space a sense of wealth with its combination of metals and finishes suited to a world traveler! Lay a rug from ELTE. Include a sofa from The Glen & Jamie Collection. Add side tables, chairs, and a coffee table from The Goods. 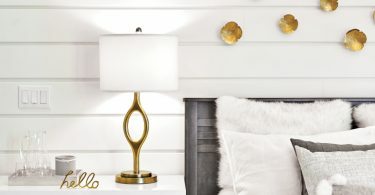 Chose table lamps from Living Lighting.